Preliminary Sketches for Robert Blair’s The Grave, listed under Drawings and Paintings, Pencil Sketches. Preliminary Drawings for Robert Blair’s The Grave, listed under Drawings and Paintings, Monochrome Wash Drawings. Preliminary Illustrations to Robert Blair’s The Grave, listed under Drawings and Paintings, Water Color Drawings. Robert Blair, The Grave, the 1808 book listed under Commercial Book Illustrations, Designed by Blake and Engraved by Other Engravers. Deaths Door, listed under Separate Plates and Plates in Series, Designed and Engraved by Blake. Illustrations to Robert Blair’s The Grave, the series of twenty finished designs, listed under Drawings and Paintings, Water Color Drawings. 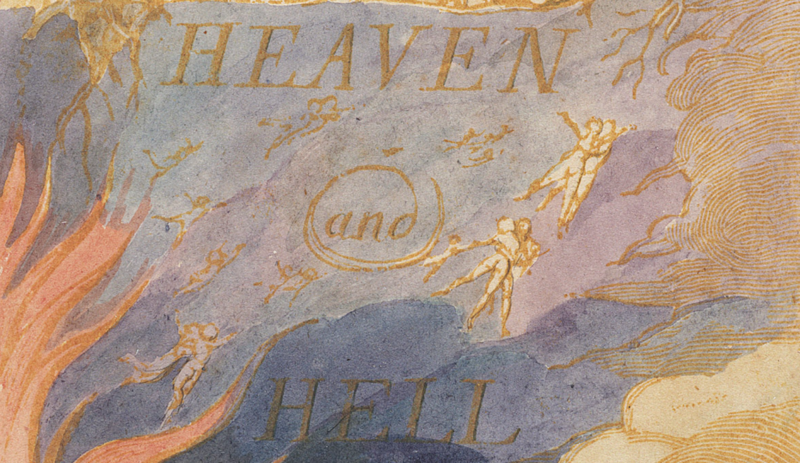 Taken together, these works in a variety of media present a comprehensive overview of one of Blake’s major projects as an illustrator and exemplify his working methods as he developed rough sketches into finished water colors. The evolution of any one design can be traced via links presented under Related Works in the Archive on the pull-down menus, lower left on the main viewing page for each work. In October 1805, Blake was commissioned by the engraver and would-be publisher Robert H. Cromek to prepare forty drawings illustrating Robert Blair’s The Grave, a popular “Graveyard” school poem first published in 1743. Cromek originally planned to select twenty of these designs for a deluxe edition of the poem. Blake launched into the project with great enthusiasm, rapidly sketching out his illustrations in pencil, developing some into wash drawings, and then producing a group of more finished water colors for presentation to Cromek. 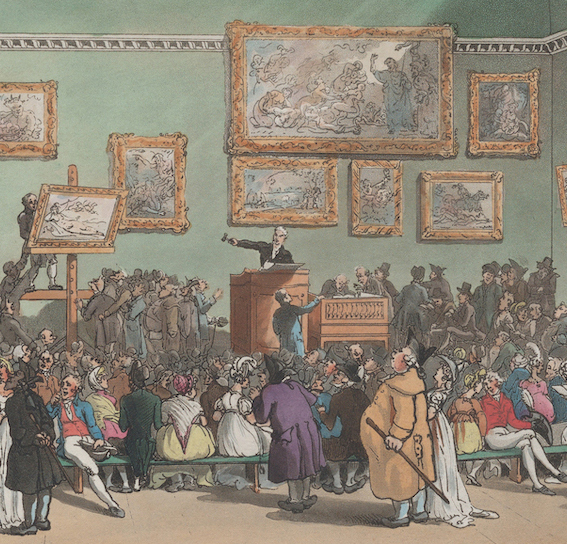 In a first prospectus of November 1805, Cromek names Blake as both the designer and engraver of fifteen designs. Blake etched one image, Deaths Door, in white-line, but Cromek rejected it. The dark power of the print appeals to modern tastes, but was far from fashionable in the early nineteenth century. In a second prospectus, also of November 1805, Cromek announced that Louis Schiavonetti would engrave twelve designs for the new edition. Blake had lost the potentially lucrative commission to engrave his own designs; his relationship with Cromek descended into anger and argument. In spite of their disagreement, Cromek included a portrait of Blake as a frontispiece to the volume, published in 1808. 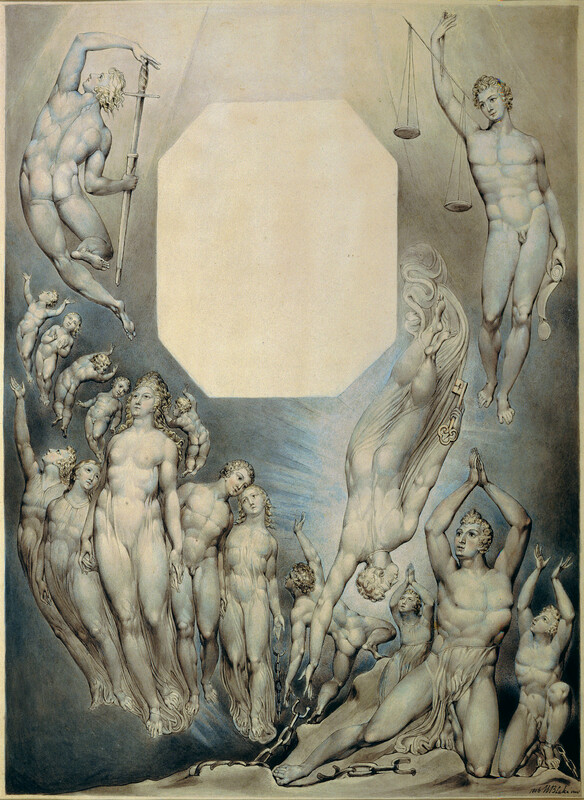 Cromek promoted the book aggressively and the illustrations to The Grave became Blake’s best known work through much of the nineteenth century.